784 Clearwater Lp in Post Falls' Riversbend Corporate Park has sat empty for quite sometime. Ever since Center Partners ( now known as Qualfon ) moved their T-Mobile call center across the state line to Liberty Lake. But it looks like a planned significant remodel and a new tenant may mean life ( and jobs... ) will return to the single story modern office building. 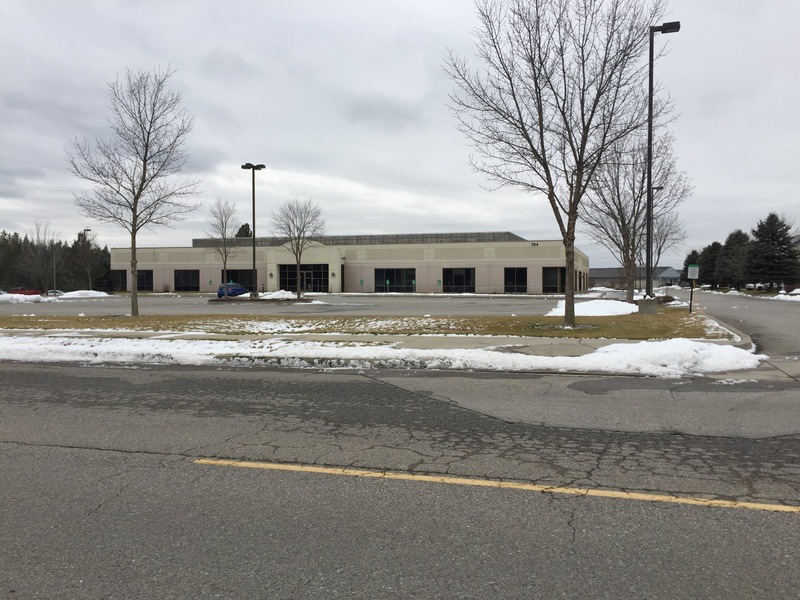 Corporate Tools' tenant improvement is currently out to bid for construction with Vandervert Construction on Spokane as the general contractor. 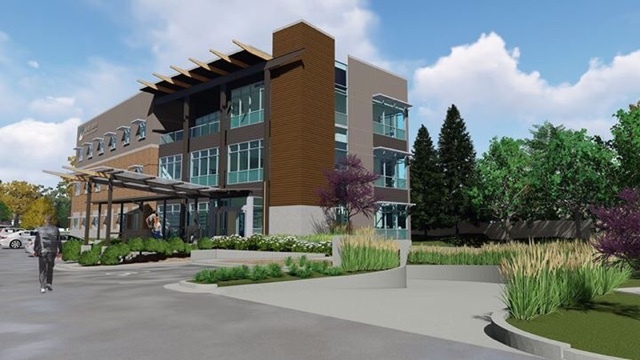 The business will likely occupy the entire 28,375 square foot building with the offices themselves being designed by HDG Architecture, also of Spokane. The plans show the building being divided into a main office space and a " Suite B " but based on some other info it looks like both will be used by Corporate Tools. The interior of the building be completely re-done and a section of the back parking lot will be removed for sports courts. No where does it mention how many people will work for Corporate Tools, However the company's page on LinkedIn says they employ between 201-500 and since they are not open yet we assume they will be creating quite a few new local jobs. In fact the company's website also lists many openings from higher level management down to phone support, data entry and more. In case you haven't been following the culinary trends recently you've likely missed "food halls" . Food halls are concept originating in Europe that's sort of like a food court only way more awesome. And, it looks like our first food hall will come in 2018 with the recently discovered renovation plans for a building in Downtown Spokane. The Umpqua Bank building ( formerly Sterling Savings Bank's HQ ) at 111 N. Wall was recently sold to a couple of developers from Seattle. One being Interurban Development who Rob Brewster is a part of. Some may remember Brewster for his involvement in several other development projects around Spokane a few years ago. His Interurban Development in more recent years successfully re-developed a handful of buildings in Seattle and Portland. But, for his next project he and a company called Confluent Development have there sights set on the aforementioned Umpqua Bank Building here in Spokane. Their plans call for keeping the upper floors ( 2-5 ) as office space while hopefully attracting a new mix of creative tenants. But the first floor is where the most exciting portion of the project will happen. The bank moved their branch to a new space on W. Main a few months ago leaving that space as a blank slate. Currently in the pre-development conference state of the project the new developers are calling for a complete renovation into a food hall / market space with the project going by the name Alexander Goods Depot / Market Hall. The space would contain 14 eateries all using 2 shared commissary style kitchens. Likely these would all be new locally owned and operated businesses serving a wide array of foods. The plans even call for a small ( 1066 square foot ) grocery store. There are no tenant names on the plans however so we expect all of that news later in the development process. If all goes as currently planned construction would start in the Spring with an opening in the Fall of 2018. Interurban Development is also planning on converting the abandoned former McKinley School building in East Central Spokane into a space with restaurants , entertainment venues , breweries and the like. We hope to have more info on that project in the coming months as well. Signs are up and after a couple of delays the construction is beginning for the new Costco store coming soon to the 12000 blk of N. Newport Hwy. That store will replace a smaller Costco on N. Division and as it would turn out it's not going to be the only commercial construction site in the area. 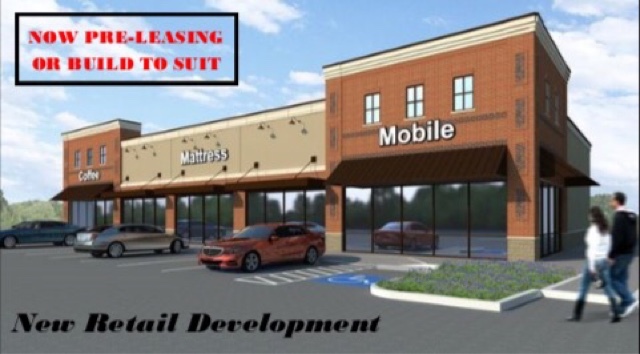 That's because a project is going out to bid now for a new freestanding Starbucks Coffee location on a pad site of the Pinewater Plaza shopping center. The new coffee shop's address will be 10919 N. Newport Hwy. and will be directly south of Frank's Diner. The 2011 square feet with both a dine in area and a drive thru lane and small 500 square foot patio area for outdoor dining during the warmer months. The store will be like other Starbucks, owned by corporate and carrying a menu of coffees, some pastries and a few sandwiches. The project will be overseen by general contractor Vandervert Construction and designed by Russell C. Page Architects both of Spokane. Another chain of indoor trampoline parks is coming to Spokane. Colleyville,TX based trampoline park company Altitude Trampoline Park has entered into an agreement with a local franchise owner, Brandon & Kendra Gadish to open a location in Spokane Valley. The new Spokane Valley Altitude Trampoline Park will take the place of the former Safeway store at 1441 N. Argonne Rd. A good amount of remodeling work will be done the building, which is about a block south of I-90. As of now the new business will open sometime in the Spring of 2018 and will be about 32,000 square feet. The new Altitude Trampoline Park will encompass a large interconnection of wall to wall trampolines and cutting edge attractions for the amusement and exercise of all guests regardless of their age. There will be a kids zone, foam pits, trapeze , basketball dunking lanes , a rock wall and even something not done before in our area: a laser maze over trampolines. A new Chinese restaurant will be opening soon at the Lincoln Heights Shopping Center on the South Hill. The new restaurant will be a locally owned and operated establishment called Chef Lu's Asian Bistro. The restaurant will specialize in Sichuan cooking and will also have a full liquor license and a sushi bar. Chef Lu's will take the place that was last used by the Costa Vida chain who closed and consolated that location in with their new Valley location at Sprague & Sullivan. The new restaurant will open next month. Chef Lu's Asian Bistro will a venture from the same ownership as Chinese Gardens Restaurant in Cheney. That restaurant will unfortunately close shortly after the new restaurant opens. Currently there isn't a website or Facebook page online for Chef Lu's but watch here and our Facebook page in the coming weeks for more information on the menu, etc for Chef Lu's Asian Bistro. Kickstarter on now to get a brick & mortar location for Culture Breads. Culture Breads is already an operating locally owned and operated baking operation supplying breads to a few local locations, including Rocket Market on the South Hill. Culture Breads now wants to take the next step in opening a brick & mortar location which is actually already being built in a formerly vacant building in the South Perry District. Culture Breads takes breads seriously as part of the new location they have launched a fundraising campaign on Kickstarter to purchase a unique wood fired oven and stone grain mill and more. The Kickstarter campaign which I will link to at the bottom of this article currently has raised a little over $9,000 of a $20,000 goal. The Kickstarter is for " all or nothing " and needs to be funded by Dec. 13th at 11:03 PST. Culture Breads is hoping to open in the Spring at 1026 E. Newark and will be a full bakery baking products using grains grown on farms on the Palouse, meaning the new bakery will also provide more jobs and income locally in addition to bread and baked goods.. The space will also be shared with a new microbrewery called Grain Shed Brewing, which we don't really have much info on. 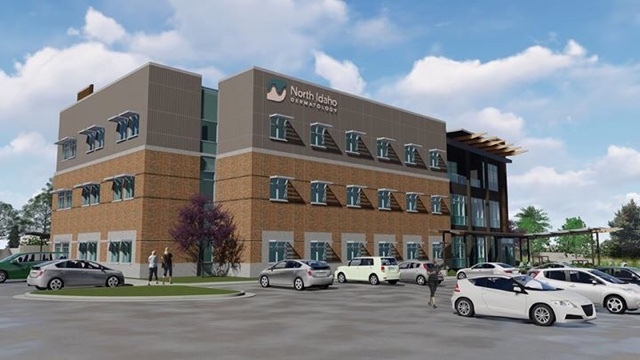 Construction has started in the Merrit Creek office park area of Riverstone in Coeur d' Alene for a new office building that will be quite a bit larger then what is there now. The site is visible from Northwest Blvd. 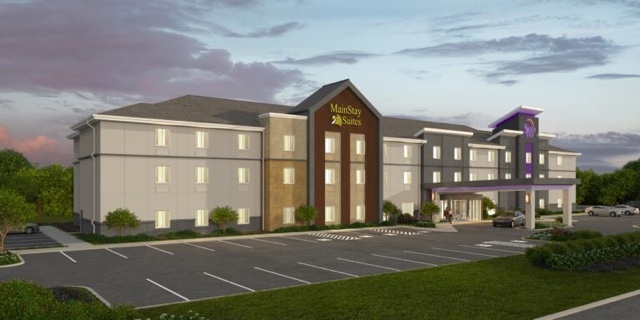 and will be used by a growing dermatology practice that is planning on replacing a clinic they already have nearby. The new building is planned to be completed around the 3rd quarter of 2018. North Idaho Dermatology has been serving the Inland Northwest since 1999, the board certified physicians have helped over 70,000 patients with all kinds of skin care needs. While the clinic in Riverstone is their main location and definatly now the largest they all see patients at locations in Liberty Lake, Moscow and Sandpoint. BoxLunch a newer retail chain that is growing in popularity will open it's doors very soon in Spokane Valley Mall. The store which is a sister chain of Hot Topic but sells gifts, collectables, apparel, home goods and more geared towards pop culture with a lot of Disney items. As of the most recent info BoxLunch has about 50 locations with a couple open in Western Washington. The company has been in business since 2015 and is headquartered in Industry,CA. The Spokane Valley Mall BoxLunch store will open sometime this month and will be located on the first floor of the mall nearby H&M . They are currently hiring for all positions for the new store and this is the only store from the chain currently planned to open in the Spokane area. Hot Topic itself has stores in Spokane Valley Mall and Northtown Mall here in Spokane. A casual fine dining restaurant with scratch made menu items with locally sourced ingredients . Open daily from 11am - 10pm Three Peaks will have a selections of Washington wines and 20 craft beers. Three Peaks Kitchen + Bar gets it's name from the peaks of Mount Spokane, Cayuse Mountain and Steptoe Butte all of which are important landmarks that roughly outline the ancestral lands of the Spokane Tribe. A deli with many grab & go items in addition to scratch made gourmet desserts. Speelya's Den will also serve locally roasted espresso and will have long hours being open from 6am-3am. These will be the 3 places at the Spokane Tribe Casino when it opens. However they say the Casino as is, is just the first phase of what will one day be a large resort complex. The Casino when it first opens will be about 38,000 square feet and offer 450 slots and 12 table games. It is also next to the Tribe's other business venture, Spokofuel , a gas station that includes an Arby's franchise. Construction is underway for The Yuppy Puppy's new location in Downtown Spokane. The Yuppy Puppy will occupy the storefront at 830 W. Sprague Ave. on the northeast side of the Sprague & Lincoln intersection, right in the heart of Downtown Spokane. The location is prime across from the Davenport Hotel and just a few short blocks south of River Park Square. The new store will feature full service dog grooming with 2 self service dog washing stations. There also will be a good amount of retail sales space, similar to their North Spokane store. The only thing the Downtown location won't have is a doggy daycare service as the zoning there prohibits it. Currently there isn't an opening date set just yet but it is coming. The Yuppy Puppy will also operate their store in North Spokane at 9511 N. Newport Hwy. Customers of The Yuppy Puppy will find many different choices of natural dog and cat foods. They carry more healthy for your pet alternative's from brands like Earthborn Holistic Dog Food, Blue Buffalo, Taste of the Wild and many more. And their full service grooming area is exactly that, full service. From haircuts to nail trims and more they are always welcoming your furry friends. Plus unlike the big box pet shops the staff is knowledgeable and eager to help. There you have it! 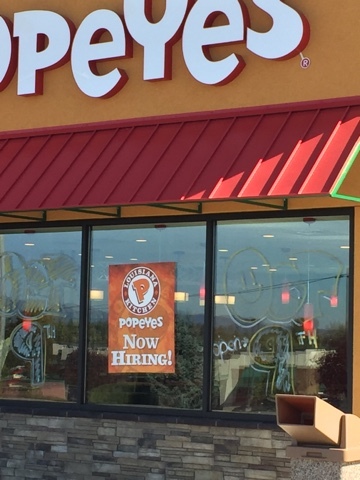 Signs on the windows indicate the new Popeyes in Post Falls will open October 9th!!! Noodle Express the Spokane based chain of noodle restaurants has it sights set on a new location in Airway Heights. This will be the chain's first new store in quite sometime, the restaurant is a more fast casual concept on their sister restaurant The Mustard Seed. Development of the new Airway Heights Noodle Express in on-going so we don't have an opening date just yet. But, what we do know is the project is currently out for bid to construct a new restaurant in a leased storefront at 10408 US 2 Suite 1. This is part of the Crosspointe Plaza shopping development by Wal-Mart. Noodle Express will be in 2122 Square feet of space in the west end cap of the same building that also houses Starbucks. The construction planned at the space will allow the new restaurant to have a dine in area, small patio and even a drive up window. This will be the chain's eighth location with 2 other stores elsewhere in the Spokane area, 1 in Hayden and 3 in Montana. Noodle Express has served up freshly prepared noodle bowls and much more since opening in 1992. 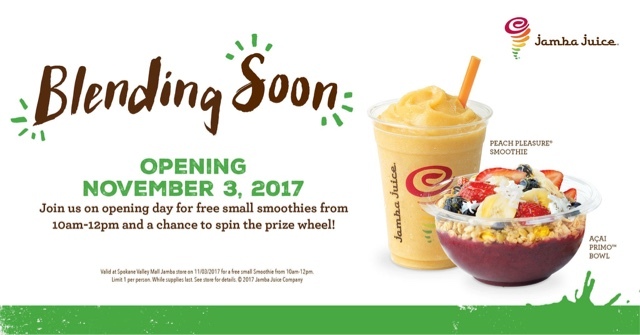 This is the only known planned new location. Menlo Park, CA based Katerra will start construction very soon on a large new factory in Spokane Valley that will create hundreds of new jobs. 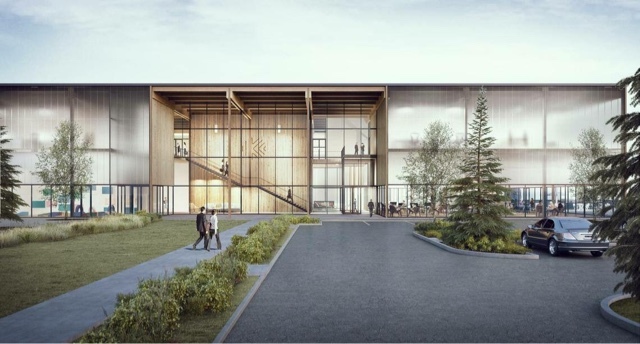 The facility will produce mass timber products including a new technology called cross laminated timber ( CLT ) and Glulam . In addition to large scale timber product production Katerra also provides services in the construction, development and design industry. Much of the timber products produced by the Spokane Valley will be used in Katerra's many projects all around the country. The new Spokane Valley Katerra factory will open in the first quarter of 2018 with construction to start soon. It will have 250,000 square feet off of Barker Rd. just south of Trent Ave. . A second factory from a company called Progress Rail is also rumored on land adjacent to the Katerra site but we'll have more on that soon. 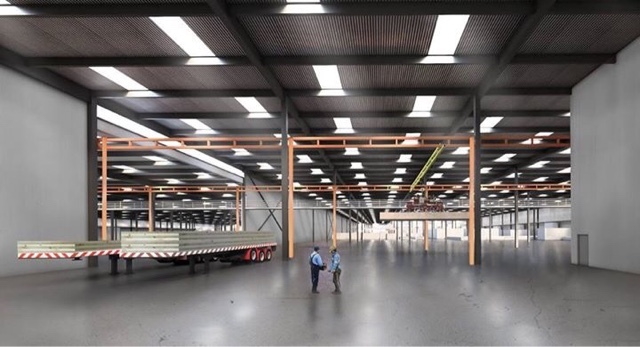 The factory will create 150 construction specific jobs initially with growth and expansion planned on the horizon, they hope to soon have as many as 300 employed here and operate a distribution center on the same parcel of land. Technically I already did a post about it but just wanted to pass along that Prairie Dog Pet Mercantile will open there newest store on Monday Sept. 25th. The store will be in Kendall Yards at 1206 W. Summit Pkwy. Mountain Lakes Brewing Co. will open their new microbrewery soon in Downtown Spokane at 201 W. Riverside , next door to the Lion's Lair bar. Chain fitness business Orangetheory Fitness will open a second Spokane location soon. This time in North Spokane at 410 E. Holland Ave Suite E.
Forza Coffee Company has officially opened their 3rd Spokane area location in the Matilida Building at 1028 N. Hamilton. Eye Guys Optical has moved over to their new larger "flagship" location at 8220 N. Cornerstone St. Suite A in Hayden. They are also joined in the same building by a new Little Caesars Pizza location. Liberty Lake Wine Cellars is now open for business at 23110 E. Knox Ave. in Liberty Lake. They moved their from a smaller home based location. KJ Pottery has opened their new pottery studio in the Garland District at 3908 N. Lincoln St. Scout Real Estate has opened a second office location. This time on the second floor of 154 S. Madison above the Steel Barrel Tap Room. A Tri-Cities based brewery is moving to Liberty Lake. Snow Eater Brewing Co. has agreed to lease space in a new building at 2325 N. Mackenzie Ln. MSD Irish Dance Academy has opened and started classes at 1007 W. Carlisle Ave in Spokane. The former Pit Stop bar space in Post Falls has become House of Cards Bar & Grill . The new restaurant can be found at 830 N. Spokane St. .
Wright Way Beauty Supply an African American hair product retailer has opened for business at 2103 N. Division in Spokane. A Good Feet shoe store has opened at 15106 E. Indiana Suite B, by the Spokane Valley Mall. Sandpoint based Evans Brothers Coffee Roasters is opening a new coffee shop in Downtown Coeur d' Alene. It will likely open next month by the corner of 5th & Sherman Ave.
T-Mobile has opened a new location on the ground floor of the Crescent Court Building at 707 W. Main in Downtown Spokane. Not mentioned on Facebook but mentioned here, T-Mobile is also planning 2 more Spokane locations. One inside Spokane Valley Mall and the other at 11510 E. Sprague by Domino's Pizza in Spokane Valley. Orthocare Express a walk in clinic of Northwest Orthopedic Specialists has opened 12410 E. Sinto Ave. Suite 201 in Spokane Valley. They offer treatment for sports injuries , neck & back pain , joint pain and more. Winescape Winery is a new boutique winery and wine tasting room set to open in November at 6011 E. 32nd in Spokane Valley. Heritage Meats and More which had been in Hayden on Government Way has closed their doors. Serendipity Estates is a new estate sales retail shop opening soon in the Garland District at 602 W. Garland Ave. Evolve Fitness has opened for business next door to Subway at 5615 E. Trent Ave. in Spokane Valley. Family Thrift a thrift store on N. Nevada in Spokane has added a second location and can now also be found at 1421 N. Mullan in Spokane Valley. Polka Dot Pottery a local chain of self painting pottery studios will a new location soon in Spokane Valley Mall in-between Hop Jack's and H&M on the first floor of the mall. Shamus's Sandwich Shoppe's new Airway Heights location is now open. It can be found in the former Buckhorn Inn building at 13311 W. Sunset Hwy. Sunwest Automotive Engines is now up and running in their new home at 210 S. Broad St. in Medical Lake. The Yuppy Puppy has announced they will soon open a new location in Downtown Spokane near the Davenport Hotel. They however are tight lipped about the exact location of the new place. After what seems like a lot of delay, we're seeing some indication that the indoor trampoline park chain Flying Squirrel will be opening soon in Spokane. But despite activity on Facebook they have yet to say exactly where they will be other then it will be in Spokane Valley. Seasonal business Halloween Express is about to open in the former Hasting store at 1704 W. Wellesley in the Shadle Park area. Tot Shots Photo Studio which as the name would imply is a photo studio specializing in children's photos will open soon in Spokane Valley at 106 N. Evergreen. Idaho Central Credit Union's new branch in Hayden,ID is now open. It can be found at 8760 N. Government Way.